Once the mobile world’s pioneers, Nokia, Motorola and BlackBerry are now the industry’s sorry laggards, searching for lost glory. As they struggle to get back in a game now lorded over by Samsung and Apple, however, analysts hold out little hope for them. Finland’s Nokia, Canada’s BlackBerry and the United States’ Motorola; they all lost a lot of money in 2013. Nokia’s handset business, in the process of being taken over by Microsoft, reported losses of 780 million euros ($1.07 billion) last year. Motorola posted a loss of $1.03 billion in the same period. This month, Motorola’s owner, Google, shed the business, selling it to rising Chinese smartphone manufacturer Lenovo for $2.91 million. BlackBerry, bought by Canada’s Fairfax Financial Holdings, racked up a loss of $5.4 billion in just the nine months to 30 November. “We are definitely here to compete and to win back some lost ground before the end of the year,” BlackBerry’s recently appointed chief executive John Chen told reporters at the February 24-27 World Mobile Congress in Barcelona, Spain. BlackBerry showed off two devices— the Q20 with its trademark physical keyboard and the budget-priced Z2 with a touchscreen aimed at the Indonesian market— to help it try to claw back market share. The two BlackBerry smartphones were the first to be produced under a five-year partnership with Foxconn, the Taiwanese manufacturer that is also a key supplier to a major rival, Apple. BlackBerry aims to target corporate customers. 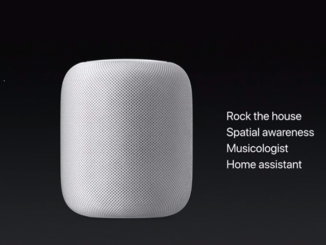 “Our turnaround strategy is to focus on enterprise,” Chen said. “We are always known as the number one in security.” Analysts were pessimistic about his chances. “BlackBerry; that is a lost cause, I think,” said Nordstrom. Lawrence Lundy, analyst at Frost & Sullivan, agreed. “They have tried so many things in past years and nothing has worked. I can’t see BlackBerry maintaining a device presence much longer,” Lundy added. Nokia remains the world’s second-largest handset manufacturer with 13.9% of the market in 2013, but that share is dwindling and it relies largely on traditional mobiles. In the smartphone market, Nokia did not even rank among the top five last year. 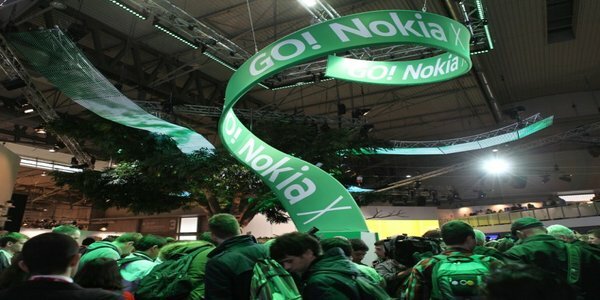 At the industry fair this week, Nokia showed off a new range of Nokia X smartphones powered by a version of Google’s Android operating system. It was a surprise move because Android competes directly with Windows Phone, owned by Microsoft, which is wrapping up its Nokia takeover during this quarter. Nokia France managing director Thierry Amarger said the manufacturer used the cheaper Android operating system because it aims to sell the devices for less than 150 euros, targeting a fast-growing entry-level market for smartphones. 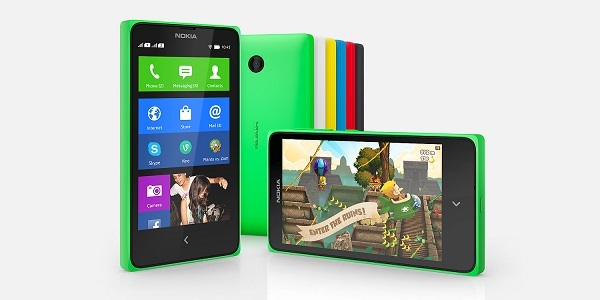 But Microsoft will determine the next move for Nokia’s handsets. “Nokia are in a fairly good position with Microsoft as their backer,” said Nordstrom. For Microsoft, there will be a rebranding exercise and they will spend a lot of money on it but there is no evidence they will catch up with Apple and Samsung,” he cautioned. Nokia will be hampered, too, he said, by being tied to Microsoft’s Windows Phone system, which is dwarfed by Android and Apple’s iOS. Motorola, however, may have a slightly brighter outlook after its takeover by China’s Lenovo, said Julian Jest, analyst at research group Informa.“That will change the dynamics of how Motorola operates,” Jest said.However, Motorola could struggle to innovate, he said, because Google had retained most of its patents and creative staff. 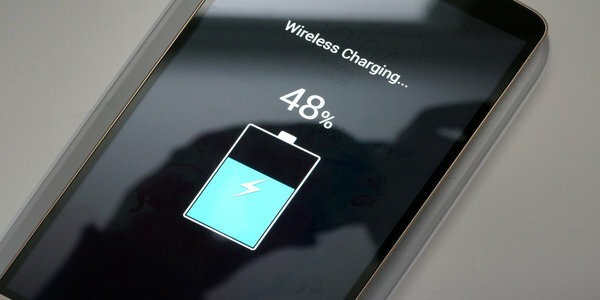 Motorola was the only one of the three strugglers not to launch a new product during the world’s largest mobile fair. Motorola is “pretty strong” in Latin America and in North America, where it remains the number-three manufacturer, said its product management director, Rick Osterloh. Lenovo’s scale and position in the PC business would give Motorola unprecedented access to technology, he said in Barcelona. ‘Thigh bone’ on Mars , Is it a proof of life on Mars ?